An intrepid skier in our ski collage! Cover the bottom left corner of the paper in glue and stick on the cotton wool to make a downward slope. Glue on two popsicle stick skis. 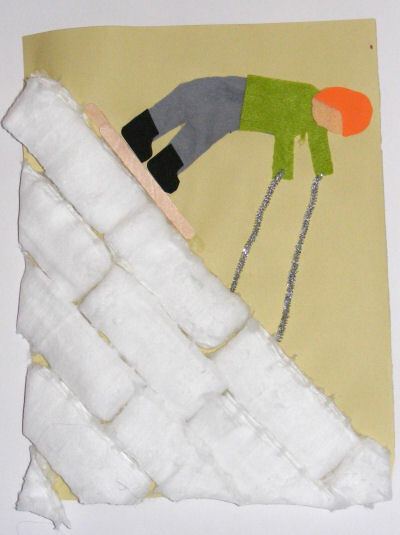 Cut out scraps of fabric and felt to make your skier. When you are happy glue them on. Cut the chenille stem in two to make poles.